I had the opportunity for Odyn to have his first big birthday party. Yep, I am that Mom that always does just family and maybe a close family friend or two. Nothing over the top. Odyn has had a big year, so I decided I would take him to StoneFire Pizza Company for his 7th Birthday. Wow, how is he 7 already?! Can I just start that it was awesome that I didn’t have to worry about keeping the kids entertained the whole time, there was no worrying about cleaning the house before or after either which is huge! The only hitch that we ran into was that it was snowing hard when we left. 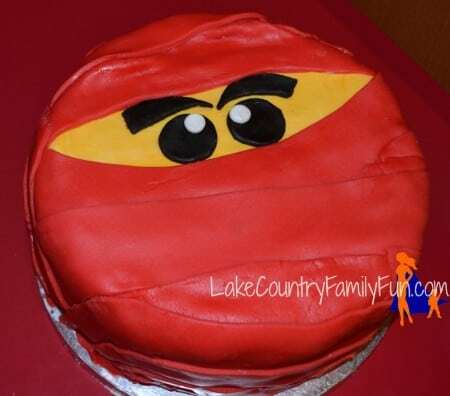 I always make my children their cakes for their birthday, so this year was a Ninjago theme for the cake. I think it turned out pretty well. The cake and the take home treats I made for the guests were the only things that I had to bring, well my kids too. I have learned you can’t leave the birthday boy at home, or at least that is what he tells me. When we walked in, the check in process was simple and easy. We had two party hosts and they were waiting for us to arrive, they even offered to help get the extra goodie bags for the kids out of the truck (nice, right?). We went to our party room and set the cake and the bags up and the hosts started the entertainment with Odyn and Sigi! The guests hadn’t arrived, yet they were on point and making the kids feel special from the beginning. 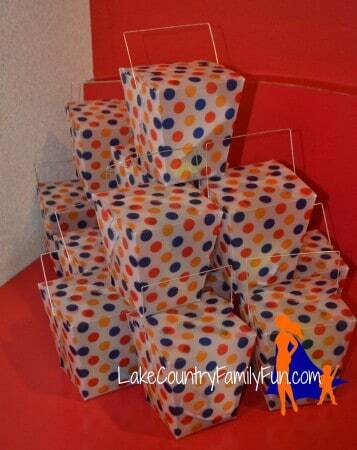 How cute are these to-go boxes, believe it or not I found them at the dollar store! I have to say that they were great because they fit into a box which equaled easy transportation. There was a great counter that I set up the boxes and the cake so it was all together which I loved. The kids started to arrive and the chaos began. Since we requested that the guests not bring gifts, we used the big bins they provided for hats and gloves and boots, it worked GREAT! Before you get upset that Odyn didn’t get any gifts, understand that he had plenty from his extended family and from us. I take the stand that I never know what others finances are, I want their children there for the fun and merriment, not for the gifts. The kids were invited to get balloon animals and their faces painted, then they even painted the host for her ‘date’ that night! Oh my goodness, the energy these girls exerted while playing with the kids was unreal. 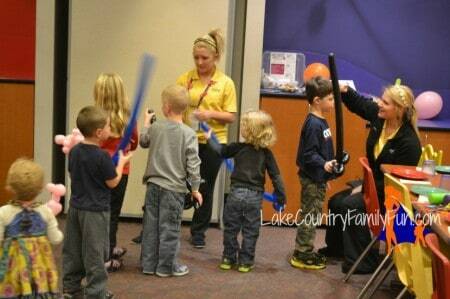 Not only were there balloon animals made, there were balloon swords too! Perfect according the the kids, they were able to be ninjas or knights and have fights without hurting each other. There wasn’t a moment that the kids were left to be bored. Seriously. It.was.awesome. Even while we were waiting for the pizza to arrive they had an activity planned. They played a guessing game where a picture was put behind the guesser of a character and everyone had to give clues. It was so cute seeing them trying to not give it away of who the character was. 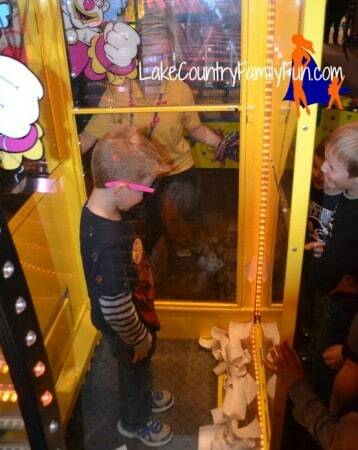 After the kids were fed their pizza and seemingly their tummies full of goodness, the cotton candy machine came out. Now the kids were hopped up on juice, pizza and COTTON CANDY. Lets just say, it got a little wild in there. I can’t stop gushing about how great our party hosts were, they really are what made this party so amazing. 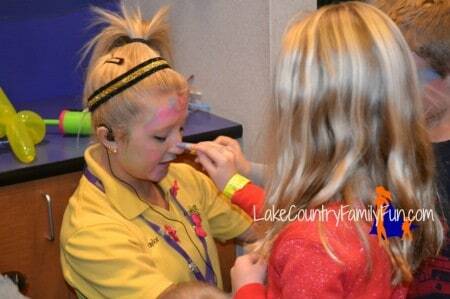 They kept the kids happy and busy but they maintained control of the children at all times. Once the cotton candy was consumed Odyn was lead to to the ticket machine, and he racked up the tickets! 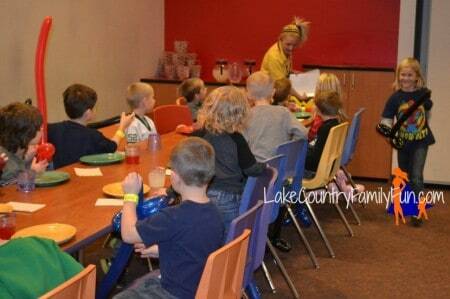 The kids were released into the playroom with money on their game cards, and they were off! My only piece of advice is to have a few extra parents there before the end so they can help supervise the kids and help keep an eye on all the kids. It was a little overwhelming to have 15 kids running around, not sure where they were. Thankfully all of Odyn’s friends are great kids and they were stayed where we could see them for the most part. 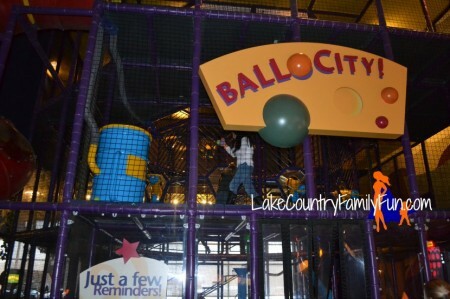 There were tons of games, and even games they had unlimited access to while they were there, like Ball City, the bumper cars, and a few more games than that. The kids had a great time using their math skills to figure out how many tickets they had accumulated and what they could buy in the prize room. Odyn the birthday boy left with a goodie bag from StoneFire Pizza Company, a birthday button, and a card all the kids signed. I think I will have to change my mind and let the kids have more parties out if they are all like the one that we experienced at StoneFire Pizza Co. It was perfect, even my husband who is of few words remarked at how great it was! I didn’t have to worry about entertaining the kids the whole time, or have to clean up any mess. Perfect party if you ask me, and I am sure Odyn would agree. 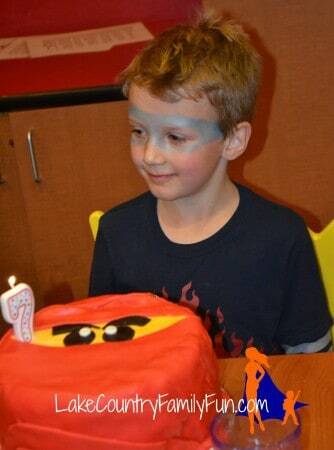 An excellent party was had for his 7th birthday at StoneFire Pizza Co.
For all the details on which party packages that will fit your needs check out StoneFire Pizza Parties website! 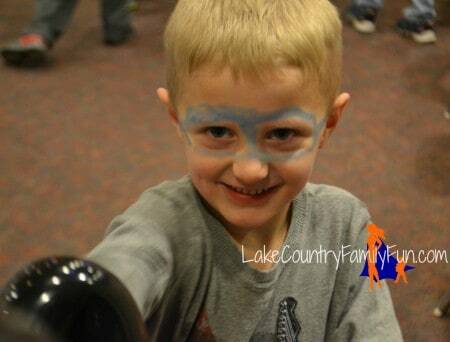 Make sure you let them know that you heard of them from LakeCountryFamilyFun.com! 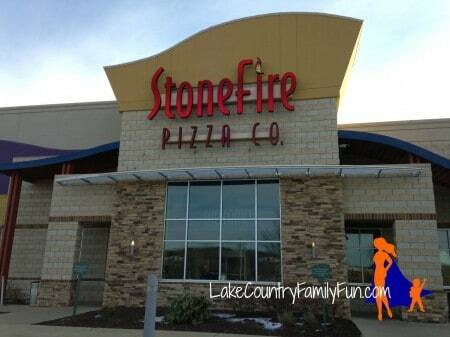 StoneFire Pizza Company is located at 5320 S. Moorland Rd., New Berlin, WI 53151.